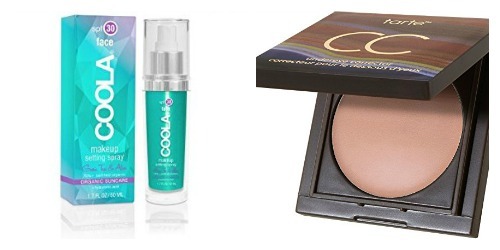 A few summer beauty items that I am loving right now! 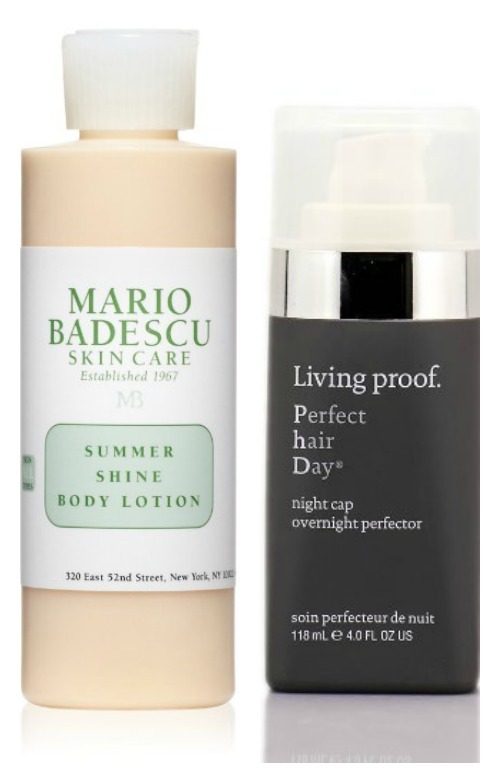 Mario Badescu Summer Shine Body Lotion: I got a sample of this from a recent Mario Badescu online order and ordered the full size quickly after. The shimmer is just the right amount and I love the coconut smell. Living Proof Overnight Protector: Living Proof was kind enough to send me a sampling of their Perfect Hair Day products. After 2 uses, I already love the overnight hair treatment. My routine has been that after my post-work workout, I shower and let my hair slightly air dry. Then I put in the overnight hair treatment and braid my hair into 3 large braids. Get some zzz's and in the morning, I have soft waves that need just a spritz of curl product to reinforce. Coola Makeup Setting Spray SPF 30: A friend got me hooked on this Coola make up setting spray with SPF. I use it every morning when finishing my makeup. It smells great too! Tarte CC Colored Clay Undereye Corrector: Last time I wrote about a concealer by Olay + Cover Girl. On a recent trip to Ulta, this Tarte concealer caught my eye (the packing got me!) and it's my new go-to. It's creamy and really covers any dark circles. What about you: any new or new-to-you beauty favorites to share? PS: This is not a sponsored post from any of these brands, though I did receive a sample package of Living Proof items. All opinions are my own. I just got that Tarte concealer in the stick form! It's great!